A scene from the Adelaide leg of FOMO 2019. Image courtesy FOMO via Facebook. Concern about the current approach, promoting abstinence, has been brewing in the harm minimisation and wider health sector for some time, prompting Australia’s first pill testing trial—in which festival-goers access a service analysing their illicit drugs—at the Canberra leg of the Groovin’ the Moo festival in April 2018. With a number of deaths of young people in a short period of time recently, the issue has come to the fore. In January, 19-year-old Alex Ross-King died after a suspected drug overdose at the FOMO festival’s Sydney event. Less than two weeks earlier, 22-year-old Josh Tam had died after what mainstream media called a combination of ecstasy and alcohol at the Lost Paradise festival, also in NSW. Their deaths followed those of Callum Brosnan at the Knockout Games of Destiny festival in December; and Joseph Pham and Diana Nguyen at the Defqon.1 music festival in September 2018. 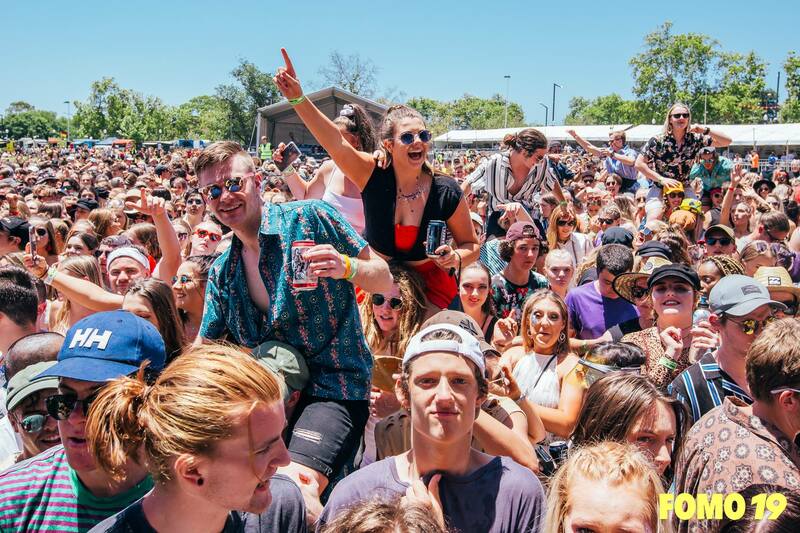 NSW Premier Gladys Berejiklian has come out strongly against the concept of pill testing, saying a better approach is to continue to ask young people not to consume illicit drugs, and recommending greater access to medical attention at festivals. But pharmacists are increasingly among those raising their voices in support of a trial of the service, according to PSA national president Dr Christopher Freeman. AMA president Dr Tony Bartone, National Australian Pharmacy Students’ Association, Australian Nursing and Midwifery Federation, and RACGP president Dr Harry Nespolon are among other stakeholders also calling for a trial. In January, the PSA issued a position statement in favour of trials being conducted at music festivals, as well as other environments where illicit drug use takes place. “There’s been a lot of public commentary in and around harm minimisation strategies like pill testing at music festivals recently, sparked by the recent deaths from illicit use of drugs at those festivals,” says Dr Freeman. “Many of our members also expressed concern about this, and so the Society decided to produce a position on this topic. And were pill testing to be implemented, pharmacists should be part of it, he says. The Defqon. 1 event in Sydney. Image: Defqon. 1 via Facebook. Opponents and sceptics have expressed concern that allowing young people to have their drugs checked at festivals—or potentially in the community, outside such events—will just encourage them to consume the substances. Federal Health Minister Greg Hunt told ABC Breakfast in December 2018 that he has been advised that “there are no safe levels of illicit drugs,” and that these drugs are illicit because they are not safe to use. Also in December, Gladys Berejiklian said that “we know that pill testing won’t work because it’ll give people a green light to taking substances, which in the end could still kill them”. Drug Free Australia feels the same way: the organisation says that the service would increase drug use and the likelihood of risk and death. “Pill testing will be seen by many young people as a clear endorsement of drug use. It sends a message that illicit drugs are ‘safe’,” it says. Pill testing would also promote the normalisation of taking illicit drugs, it says. In November 2018, acting president of the Police Association of Tasmania Gavin Cashion said, in response to a state Greens proposal to implement the service, that “pill testing is effectively ‘doing quality assurance for drug pushers’. “People have a choice—to take drugs or not take drugs. “Selling, trafficking or using illicit substances is still against the law,” he said. But its proponents say that pill testing is not a green light to take drugs at all: instead, it not only allows users to check what their drugs actually contain, it’s a key opportunity for a health intervention. President of the Australian Drug Law Reform Foundation Dr Alex Wodak told the AJP that pill testing is “based on the premise that people make healthier choices and decisions when they have more information about the nature of the risks they may or may not undertake”. “It’s also based on the principle that if the information is presented to them at the music dance event that they’re attending, when they’re about to take the pill—or maybe not take the pill—you’re giving them highly relevant information at a time and place where that decision is imminent. Dr Wodak says that it’s “hard to think of any health behaviour where people don’t make better choices if given more information”. “Every time you go to the supermarket and pick up a pack of food, it’ll say on the food what the food contains, and there’s a coding system to try and nudge you, the consumer, from higher-risk to lower-risk choices. Knockout Games of Destiny 2018. Image: Harder Styles United via Facebook. A pill testing service sees festival attendees visit a specific location at festivals, and hand in a sample of their illicit drugs to have them analysed in a short space of time by scientists. Dr Wodak says that while a number of different techniques can be used during the service, these are all technologies used in every hospital laboratory in Australia every day of the year. But it’s the rest of the service that offers a real opportunity to engage with those considering taking illicit drugs, he says. “It’s really a medical intervention, rather than just a chemical analysis. They will explain the risk to you—and they will never say there is no risk. “They will constantly remind you that there is a risk and that the pill testing doesn’t eliminate that risk, it just helps you make the choice about whether to proceed or not. “They’ll also tell you a list of things you can do to reduce your risk: things like drinking enough water, not too much water; chill out for at least 10 minutes an hour; don’t dance for three hours in a row; go to the air-conditioned tent and cool down. And if you see a friend keel over, go to their assistance immediately and summon first aid—and here’s how to do that. “The consultation needs to be focused on safety—and so part of that will be a conversation about why it’s probably not a great idea to take the substance in the first place,” he says. “My suggestion would be that we’d be able to divert a proportion of people who were going to take the drug, to a decision not to take it. “What you have to be careful about in this environment is not to provide information that would increase the use of that substance. “One important thing to keep in mind is that we have this thing called the Internet. People will look these things up for themselves, and it’s similar to the idea of Dr Google. So there may be a place for a health professional trained in this area to correct misconceptions held by people who have found information on the Internet. And pharmacists must be part of any such trial, or any program that eventuates from it, Dr Freeman says. 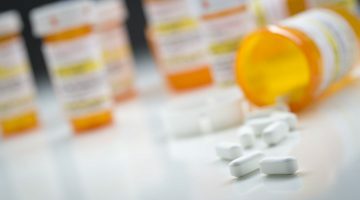 “PSA believes pharmacists have a role in harm minimisation from illicit drug use, potentially including drug checking—pharmacists should be involved in the trial, and if implementation is thought to be appropriate, then pharmacists should have a role in implementation of the ongoing pill testing and drug checking services,” he says. These include the needle exchange program, opioid replacement therapy and even nicotine replacement therapy, he says. Groovin the Moo. Image: Groovin the Moo via Facebook. While international evidence around pill testing is growing, it’s in its infancy in Australia. The ACT is the only jurisdiction to date which has seen a pilot take place—and the road to this pilot, which took place at 2018’s Groovin’ the Moo festival, was rocky. In 2017, Harm Minimisation Australia was leading an intended pill testing trial, to be held in late November at the Spilt Milk festival in Canberra. But less than a month after it was announced, promoters dropped the trial—which Harm Minimisation said was due to Federal Government pressure. At the time, Harm Minimisation Australia president Gino Vumbaca told the AJP that the move was just “a setback, a delay” and that the trial had enjoyed widespread support, including from the ACT Government. 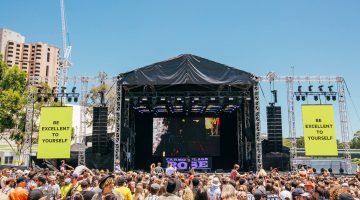 Five months later, a trial was held at Groovin’ the Moo, which was later hailed as a success by the STA-Safe consortium, which led the pilot—despite only having been given the go-ahead to conduct it days before the event. This trial saw 129 people assessed for eligibility—two were turned away due to intoxication, and while none were found to be in possession of traffickable quantities of drugs, the consortium did not know whether people with large amounts left the queue before entering the tent—and a number of substances tested. Several were found to contain unexpected substances: one sample, thought to be ketamine by the person who bought it, turned out to be triprolidine while a sample of so-called “speed” was actually the potentially deadly N-ethylpentylone. Of the 81% of patrons who thought they had bought ecstasy, 45% (31 samples) did have MDMA identified as the major ingredient, but 54% had no compounds detected in their drug. None of the three people who thought they had cocaine was found to have cocaine above the threshold, while only one of the two people who thought they had ketamine actually did. STA-Safe’s report said the results confirmed previous data showing that Australian ecstasy has a high rate of impurity or substitution of ingredients. After receiving their results, 58% said they intended to consume the drugs as planned, while 12% said they would use less, 5% said they would not use this drug but another drug, 7% said they were undecided and 18% said they would not use illicit drugs. Five people threw their drugs away into the bin provided after the intervention, but STA-Safe pointed out that the bins were in a highly visible area. More discarded drugs were found near the medical precinct, but there was no way to know whether this had anything to do with concerns about the amnesty bin. More data is available about the international experience. For example in November 2017, findings from UK trials were presented at the APSAD Scientific Alcohol and Other Drugs Conference in Melbourne by Professor Fiona Measham, Professor of Criminology in the School of Applied Social Sciences at Durham University. Professor Measham’s charity, The Loop, conducted drug safety testing at the UK’s Secret Garden Party and Kendall Calling festivals in 2016. It was rolled out to three more festivals in 2017. 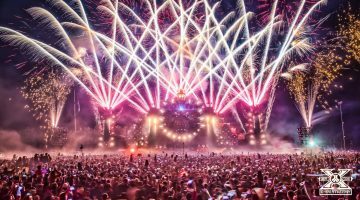 At the Secret Garden party, the number of drug-related hospitalisations dropped from 19 to one, while at the BoomTown festival, paramedics reported that drug-related medical incidents dropped by a quarter. One in five people found their drugs did not contain what they expected, and around a fifth handed them in for disposal. Another fifth said they would dispose of them themselves, while two-fifths said they would take a small amount of their drug and not mix it with other substances. Most of the drug users said this was the first time they had discussed their drug use with a health service, and some asked for onward referral to drug services as a result. Dr Wodak suggests that were pill testing implemented across music festivals and potentially in the community, it could have a significant effect on the market for illicit drugs. In European countries where pill testing has been in practice for some time, when the service detects a potentially dangerous batch of tablets, it is able to communicate this to festival-goers via screens and announcements. “Text comes up saying, ‘we just tested a pill that looks like this, it has this substance in it, if this pill is taken the owner would most likely get seriously ill and may die, if you have one that looks like this, throw it away in the secure bins,” he told the AJP. “And then people start going through their pockets and finding the pill and throwing them away. “This is speculation on my part, but if I was a drug seller, which I’m not, and I had a range of different pills, and I was trying to flog them, which would I flog at an event where there’s pill testing? The ones I know are dodgy, given what I know of the manufacturer’s history, or would I select something of a lower risk of the various pills I’ve got? “If there’s pill testing, I’ll sell the lower risk drugs. If there’s no pill testing, I’ll sell whatever I can sell. So there may be a benefit to the market as well. A number of stakeholders, including the Noffs Foundation’s Matt Noffs, ACT Greens leader Shane Rattenbury and Brunswick pharmacist Angelo Pricolo—who applied to the TGA to have naloxone downscheduled to S3—have all suggested recently to the AJP that pill testing could be feasible in community pharmacies, with all the opportunities for counselling this would open up. Dr Freeman says a debate needed to take place as to whether this would be feasible as well. “Community pharmacies in this country have a history of providing services around harm minimisation for illicit substances,” he says. “Is this something that could happen? Absolutely. Will it happen? I’m not quite sure. I think that’s going to take some serious debate within the profession around whether pharmacists should be involved in supplying pill testing direct to the consumer. Dr Freeman stressed that pill testing is not a complete solution to the problem of party drug related deaths and hospitalisations, nor should it be treated as such. However, if Australian trials report that it is successful in changing behaviours and helping young people make better informed choices, it could be one more useful tool in the harm minimisation arsenal. It could stand alongside such measures as providing naloxone—“assuming that pharmacists can eventually get hold of it again, because it’s in short supply”—drug replacement programs and work to combat the sale of illicit drugs on the black market. “There are people seeking prescription medicines in an illegal manner for the same effect [seeking a high, including while socialising] and then there’s other types of medicines like pregabalin that have the risk of abuse. “In our profession, we have a duty around medicines safety, and pill testing fits in this broader context. “This is not a standalone strategy. This is around harm minimisation more broadly. I think what gets confused here is that when we talk about harm minimisation, some people think we’re talking about pill testing in isolation, but it’s really in the context of law enforcement and these other strategies as well. “The Society is not suggesting that pill testing is the silver bullet, but an adjunct to law enforcement around this particular issue,” he says. “In Australia, our investment up to this point has been through law enforcement — and the evidence is clear that people are still being harmed from legal and illicit drug use,” he concluded. NOTICE: It can sometimes take awhile for comment submissions to go through, please be patient.